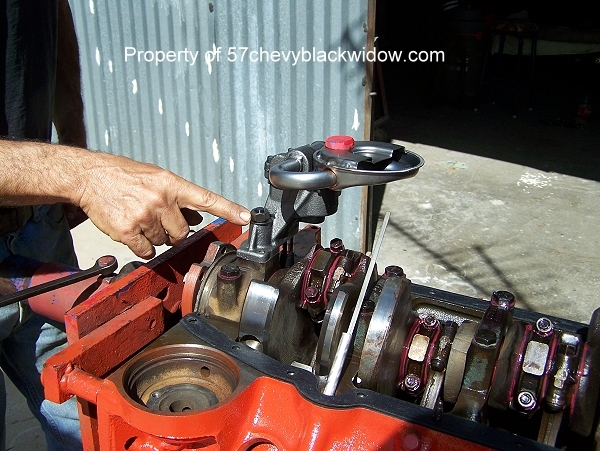 In photo # 315 you see an oil pump stud and nut instead of the factory single bolt, which can loosen in racing conditions. 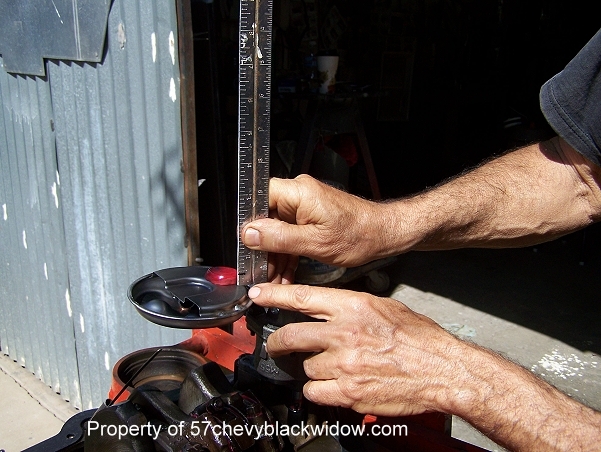 In Photos #316 thru #319 the oil pump to pan clearance is measured and set to three eights inch. 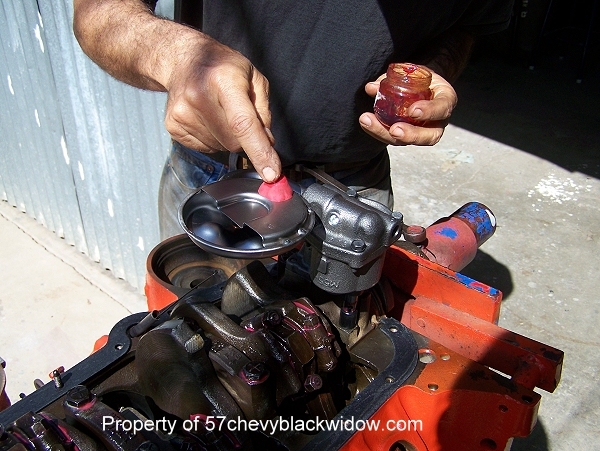 Assembly lube is applied to modeling clay so the pan compresses without sticking. Mock up pan with no end seals then measure thickness of clay impression. 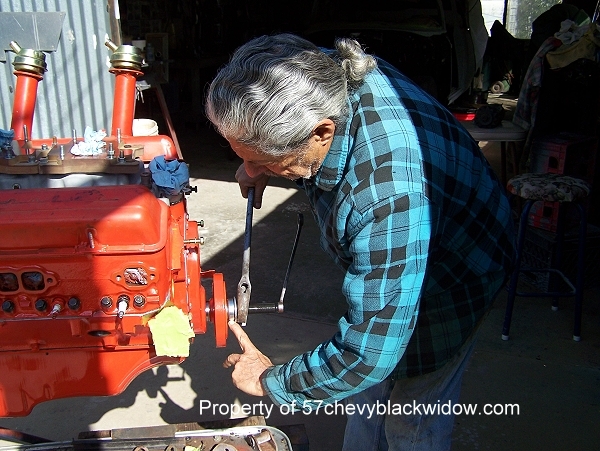 In photos #320 & 321 "Old Guy Scott" is installing the balancer, pointing to the use of a ball bearing bushing, remember the crankshaft was drilled and taped to use a bolt. 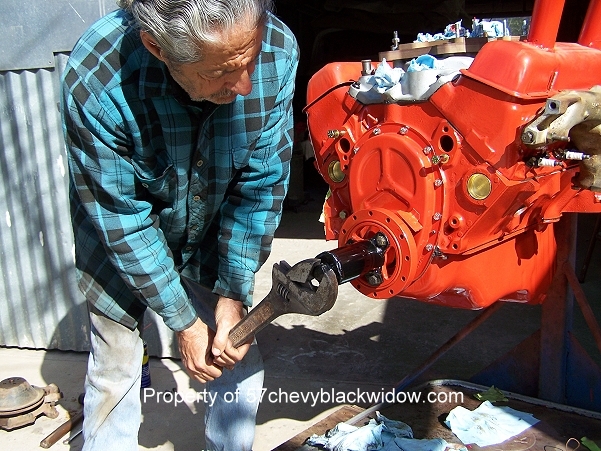 This was early practice on stock car racing engines. 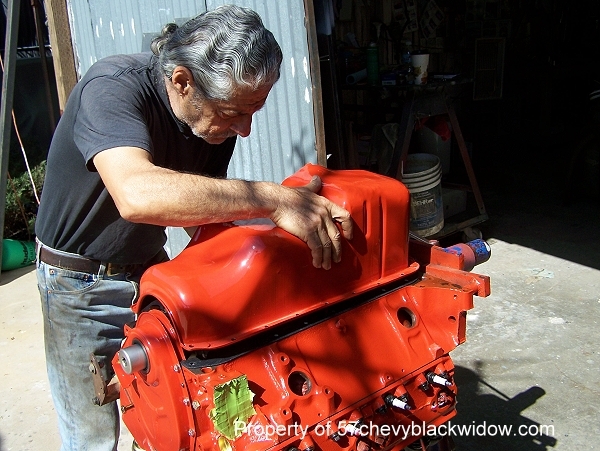 Photo # 322 shows the special tool he made to rotate and assembled engine. 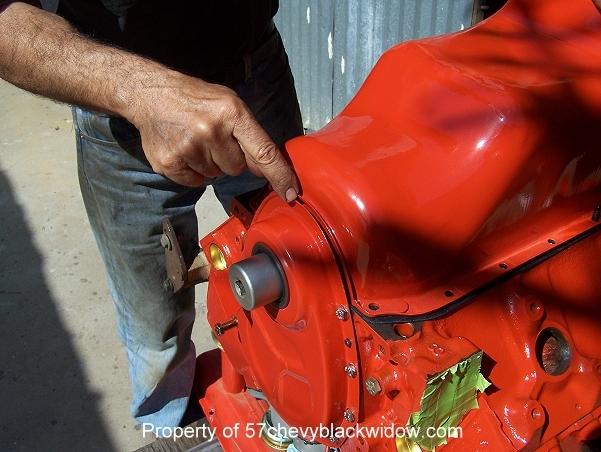 The crankshaft bolt should not be used to rotate engine. 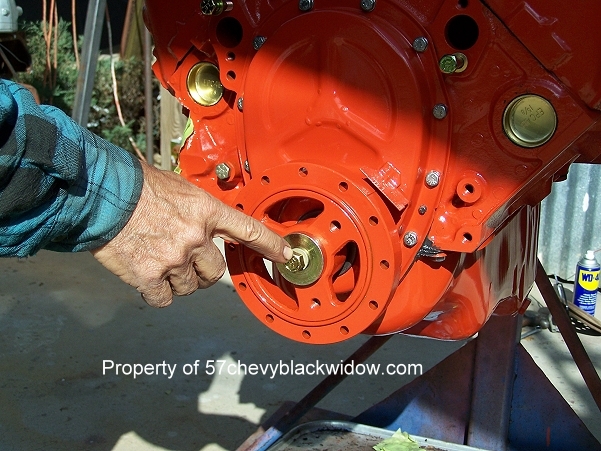 The "Black Widow" used the largest diameter pulleys available. 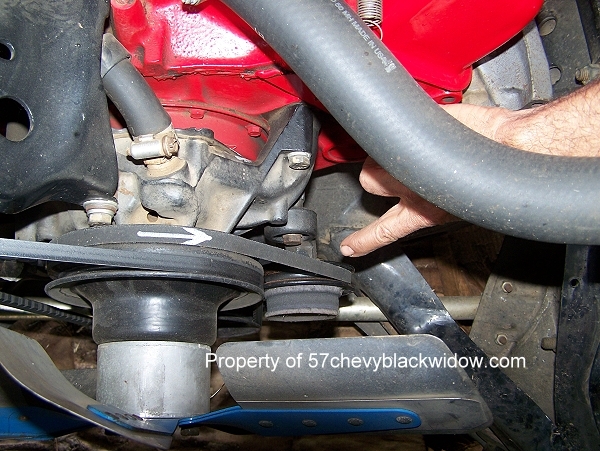 Photo #324 shows the "Competition Guides" recommended three and a half inch generator pulley vs the stock three inch. 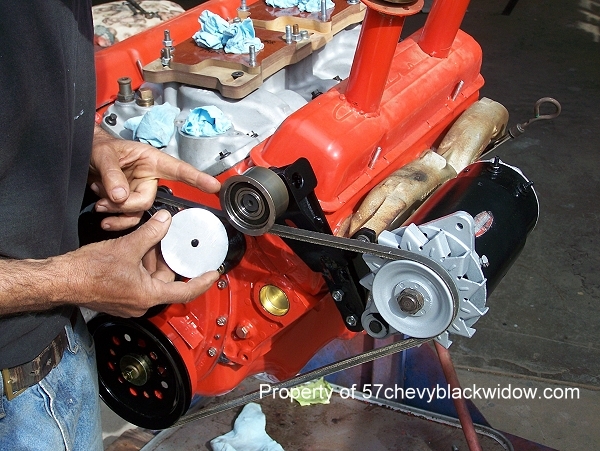 Because of the high RPM's the generator needs the slower speed. 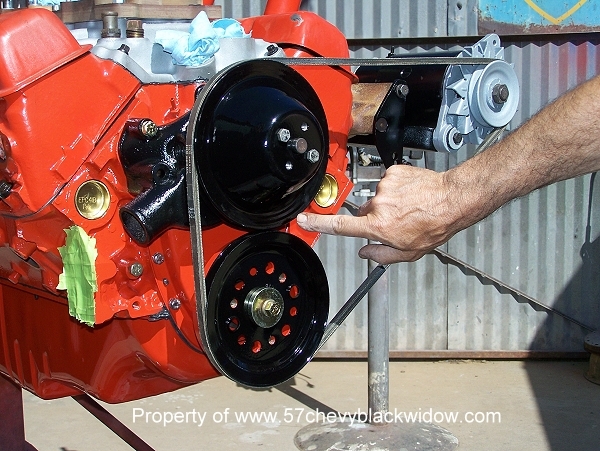 These early Chevrolet stock car racing engines had a habit of tossing the generator belt and since it turned the water pump also, the engine would melt down quickly. 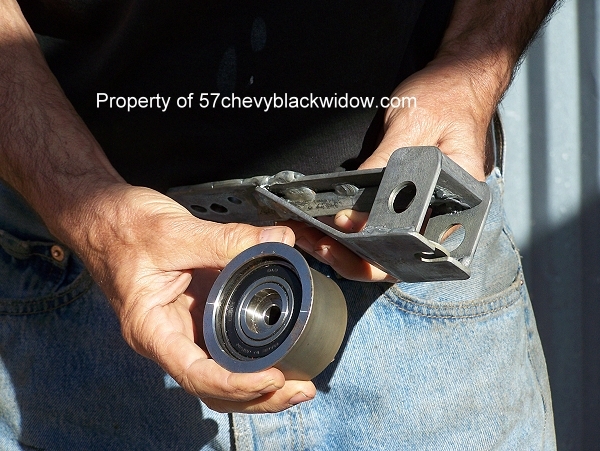 Photo #325 shows the roller assembly "Old Guy Scott" made and says some sanctioning groups would allow. Photo #326 shows the disk used to keep dust and dirt from freezing. up the bearings. Photos # 327 & 328 show "Old Guy Scotts" use of two idler systems on his "moonshine" car. 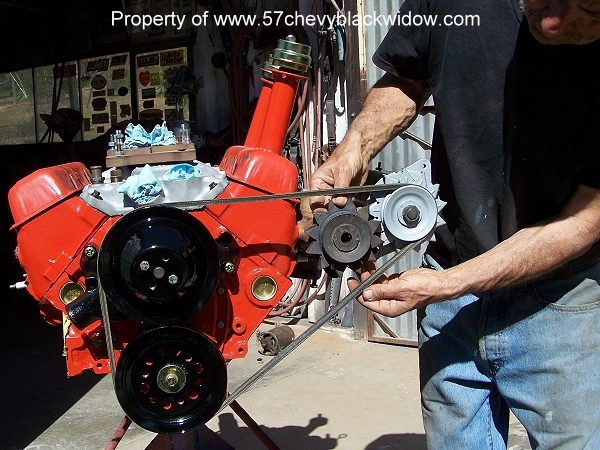 One is for the alternator and one is for the water pump, these are two separate systems. 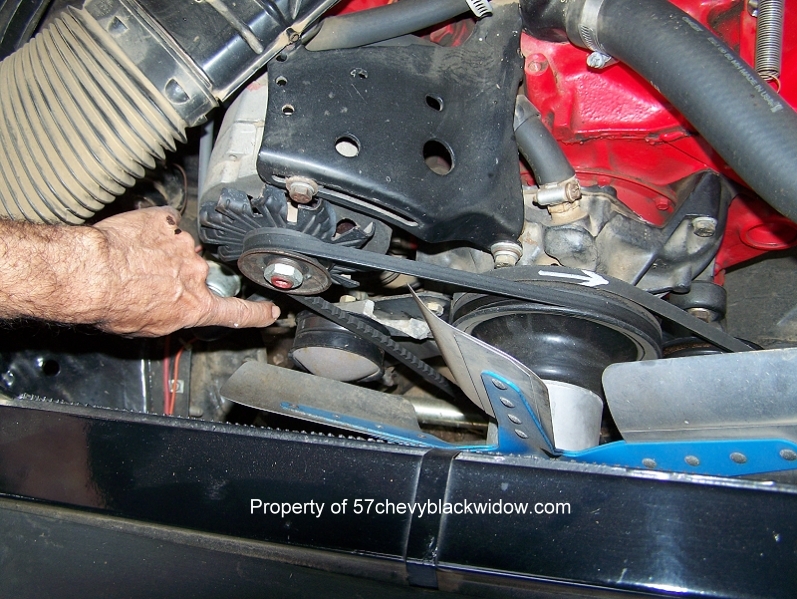 These guys didn't want to stop over a tossed belt and neither does his "Black Widow".